Timo Werner and Yussuf Poulsen both scored twice as RB Leipzig brushed aside Mainz 4-1 to strengthen their hold on a top-four place in the Bundesliga. The win saw Augsburg move up to seventh, while Frankfurt missed an opportunity to go second in the Bundesliga and remain sixth, one point adrift of fourth-placed Borussia Dortmund. 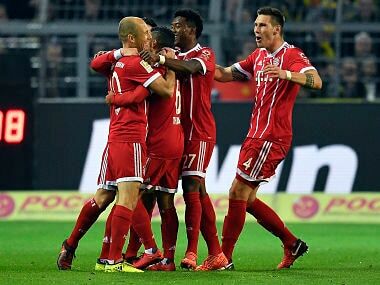 Bayern stay on course to win the title for a sixth straight season as they leave RB Leipzig behind in second, while Dortmund are now six points off the pace in third. Aleksandar Kolarov's fierce second half strike gave Ireland their first 2018 World Cup qualifying defeat and put Serbia in complete control of Group D on Tuesday.